Over the years, SEAT has become an impressive car company, with Leon being the company’s best-selling model. The Leon, which has undergone some major improvements, is now a brilliant alternative hatchback. It offers improved build quality and better interiors. Because of this car’s success, there are plenty of used SEAT Leon’s for sale at RAC Cars, for you to choose from. 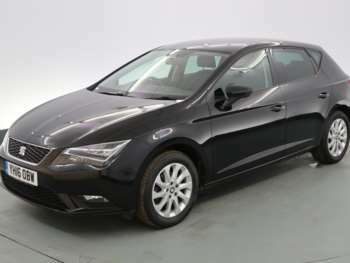 The SEAT Leon has sleek and refined styling, which appeals to many potential buyers. It also looks something a little out of the ordinary, making it a great choice for those looking for something different. There are a huge number of variants for a used SEAT Leon model, many of which come with their own set of benefits. It is recognised that the Cupra and the FR are the finest models, as they are both hot-hatch versions. The FR is a quick, practical hatch, without the high running costs and insurance but if you’re feeling brave, opt for the Cupra, which is one serious bit of kit. 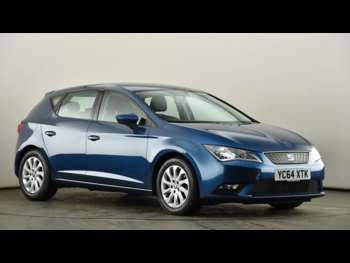 The SEAT Leon is a good drive and a good all-rounder. If you’re looking for power, simply go for the sportier options. You can enjoy build quality, speed and respectable boot space, making for a pleasurable driving experience for everyone. Got a specific SEAT Leon model in mind?